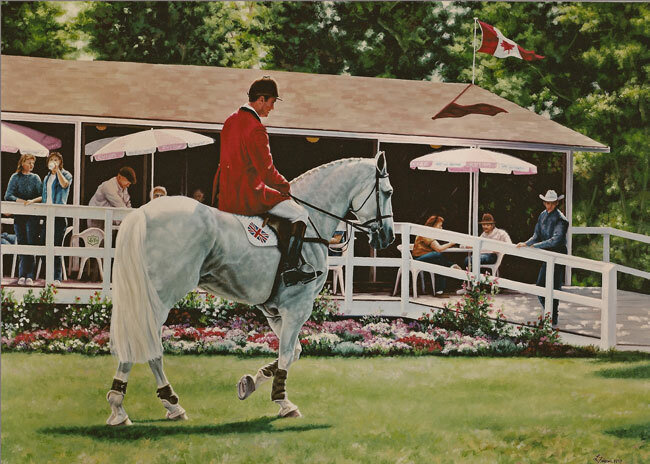 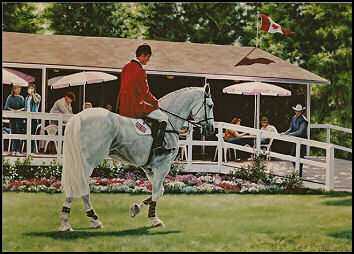 Oil on canvas 24" x 34"
Subject: Horse and rider preparing to enter the International show jumping ring at Spruce Meadows. 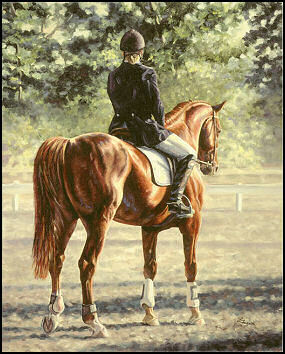 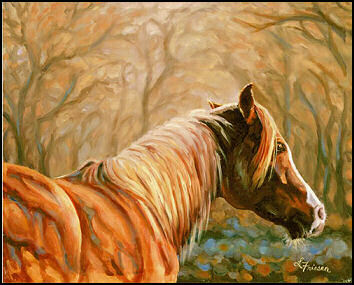 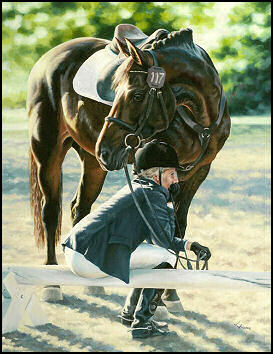 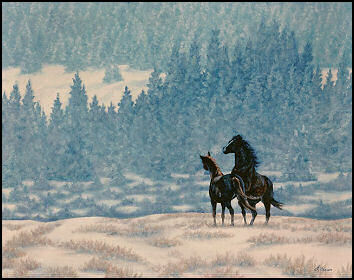 Exhibitions/Awards: Juried into the 1998 American Academy of Equine Art Fall Exhibition in Lexington, Kentucky. 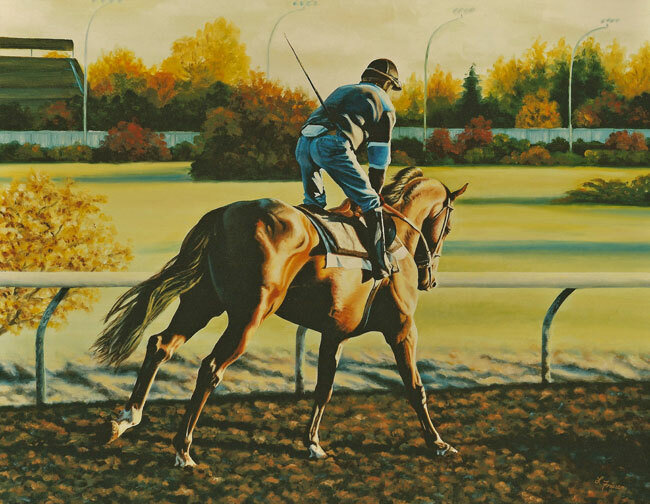 Oil on board 20" x 26"
Subject: Morning workout during the Alberta Fall Classic in Edmonton, Alberta. 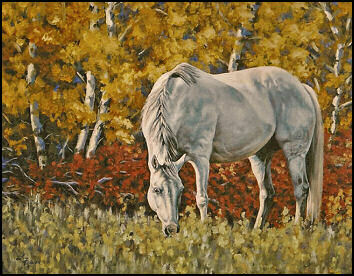 Exhibitions/Awards: Produced for the 1999 Alberta Fall Classic Gala art auction as one of 10 invited artists. 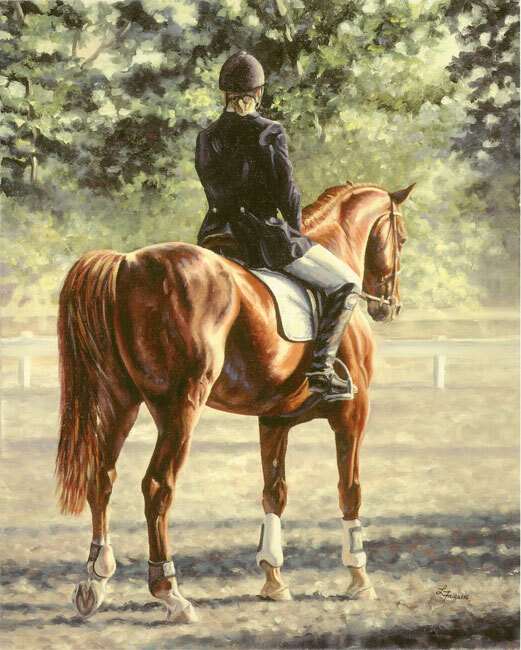 Subject: A sunlit vignette of a horse and rider at a show. 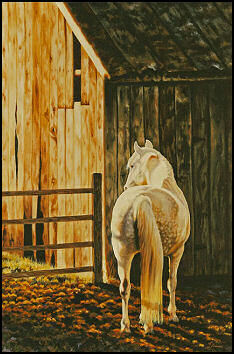 Sold (donated to the 'Sunshine for Kids' charity auction). 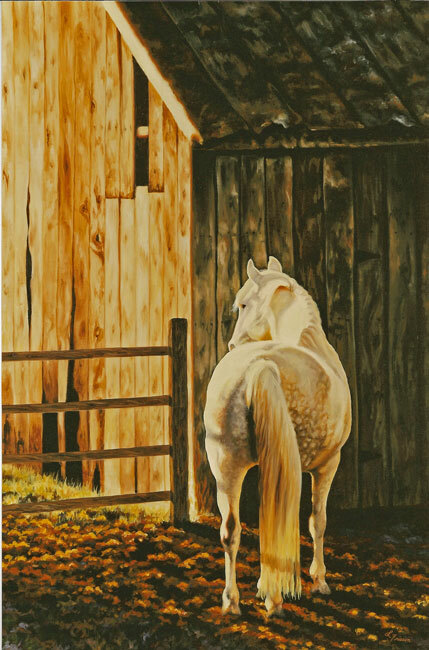 Subject: Grey mare in sunlit bathed barnyard. 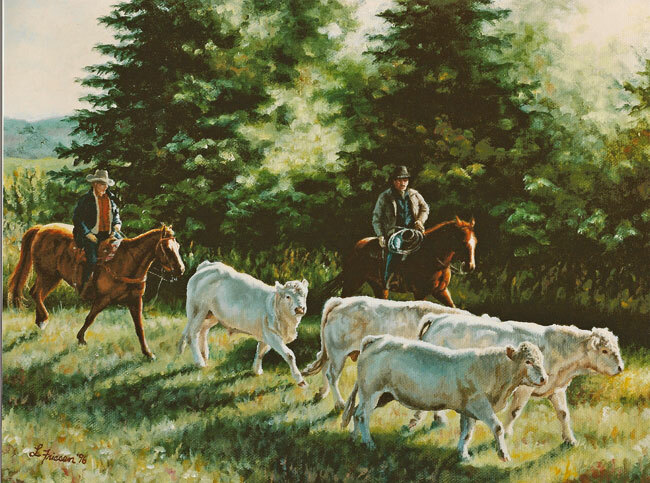 Subject: Moving Charolais cattle near Cochrane, Alberta. 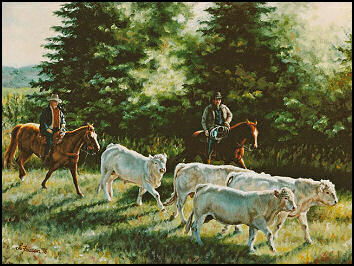 Exhibitions/Awards: Exhibited by invitation at the 1997 American Miniatures Art Show at Settlers West Gallery in Tucson, Arizona. 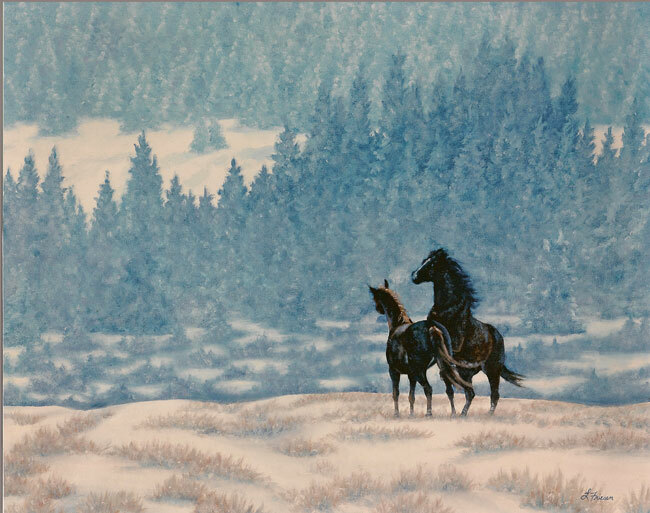 Subject: Winter scene in the foothills of Bragg Creek, Alberta. 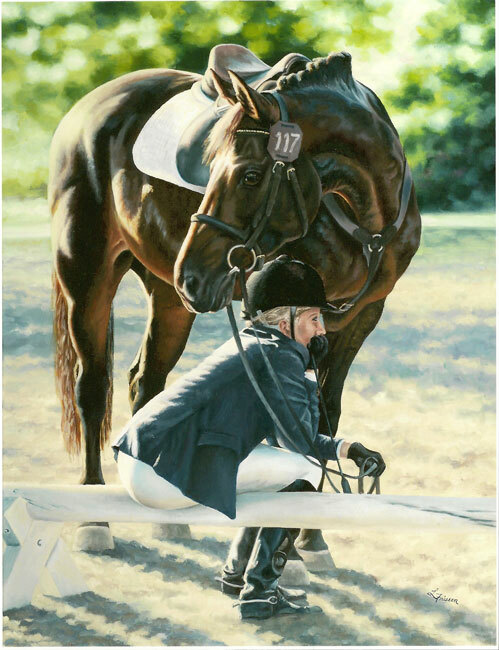 Subject: A rider takes a break during a long day of show jumping competition. 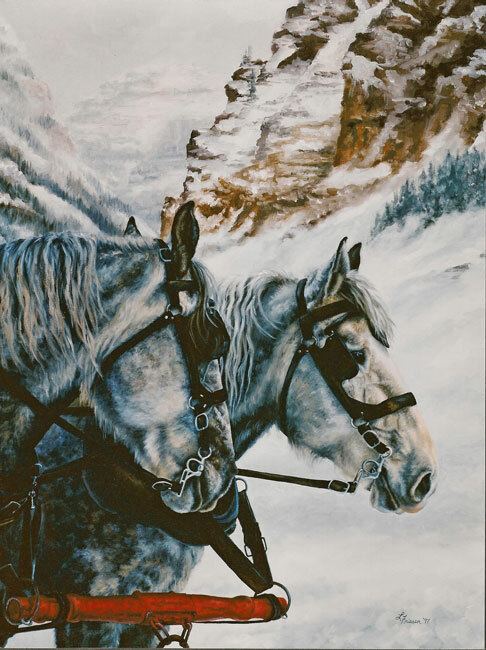 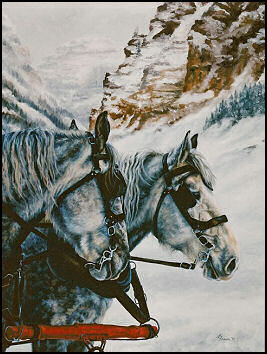 Subject: Percheron sleigh team at Lake Louise in the Rocky Mountains. 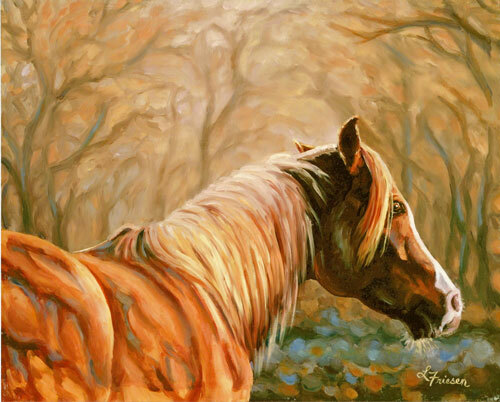 Subject: An impressionistic head study of a chestnut Arabian. 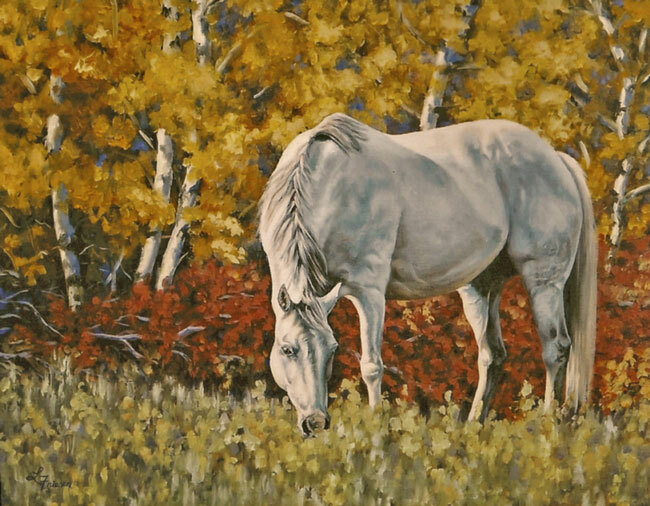 Subject: A grey horse in a prairie autumn setting.